Why 7 keys? Why not 10 or 12? Well, this book is based on working with hundreds of leading organisations around the World over the last two decades. I could easily have written about the 22 Supply Chain keys! 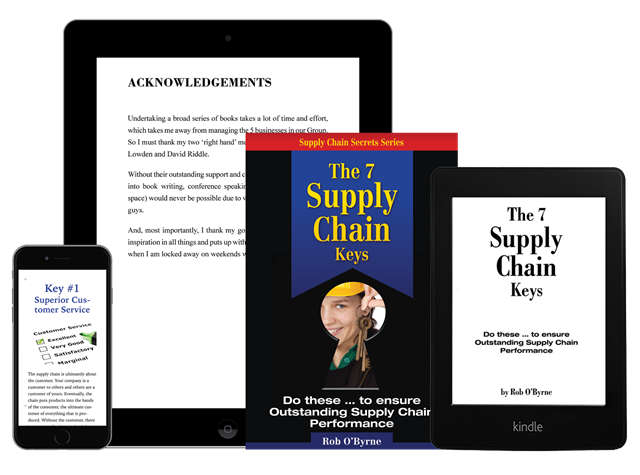 But the 7 keys I have selected are the ones that I consistently see make the biggest impact to any Supply Chain or Business, regardless of the Industry. By just applying these 7, you will see massive improvement to your business and bottom line. How to develop an end-to-end supply chain, that is well focussed and clearly understood by staff, and all of those who interact with your supply chain. Essential customer service policies, and how they drive your structure, your processes and your costs. And creating a policy that really works in your supply chain. 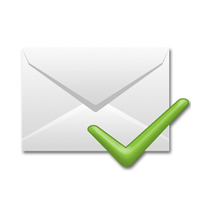 Sales and Operations Planning (S&OP) tips. That ‘black art’ that is often overly complicated, into a simple, highly effective communication discipline. Simple ‘laws’ and concepts that show how your Supply Chain network has no relevance at all to the rise and fall in property costs! Logistics Outsourcing tips that can make or break your business. Understanding asset utilisation and capacity issues so you know when full trucks and warehouses can be a good thing and when they are definitely not. How to measure performance properly, so you can drive improvements. This book is really easy to read and provides some great tips that you can apply right now. Also, as with all my books, I’ve included some useful free bonus downloads to help you with the topic. This guide is the perfect companion to the book. 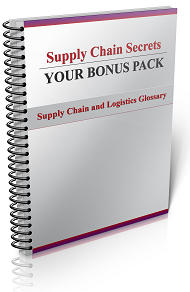 If you’ve ever found yourself lost in amongst the jargon of Supply Chain and Logistics, this glossary will save you! Filled with detailed explanation of terms and acronyms used today, you’ll no longer be confused or left behind in a conversation. Also included in your purchase is the notorious ‘Monthly Newsletter Report’ of the internationally acclaimed Logistics Bureau.